Grace Fellowship is pleased to partner with C2C Saskatchewan and the Porterbrook Network in the UK to provide training for individuals for gospel ministry. Four new modules will tentatively be offered beginning in Septmenber 2015. The new courses will be done through an interactive, online platform. Details regarding our 2015-2016 schedule can be found at the bottom of this page. What is the Porterbrook Network? Why is it all about mission? Porterbrook Distance Learning helps Christians learn how to serve Jesus and his people better — whether they are church leaders, church planters, or simply Christians wanting to become more mission-focused. The curriculum requires about three to five hours a week, but seeks to be integrated with your whole Christian life in whatever context you’re serving. It’s not theology for theology’s sake: the course is written by practitioners for practitioners. It follows the same program as Porterbrook Training, but is delivered through distance learning materials and monthly weekend residentials each year. How do I know if Porterbrook is right for me? We will introduce each module at the introduction day as well as providing access to the material which is online. Each student will be placed into a study group (cohort) for community learning. (If you are joining as a “cohort” or small group, then mark that down on your application form). Each study group will meet weekly for 3 weeks, to discuss and share what God has been teaching them. The aim is to help students keep on track and apply their learning to their context. The course will require about 3-5 hours study each week. A variety of courses will be offered in a three year rotation. We require each student to have the support of their local church, and where possible, would look for some level of involvement from the church leader(s). The approximate cost will be $25 per class plus the additional cost of online materials (approximately $30 which is paid online directly to the Porterbrook Network). All cheques are to be made out to: Grace Fellowship. We will set up an online community for student discussion, questions, and encouragement. Thus, students can interact with one other throughout the course of study. Gospel Living – This course is all about the very heart of the Christian life. Living a gospel centred life rooted and built up in Christ crucified, raised and ascended for us, is the goal and power of the Christian life. Learn to walk in the gospel. The gospel is not just the message we proclaim, it is also the message that shapes our identity, relationships, the nature of the church, mission and everyday life. This is the central course for the whole Porterbrook curriculum. It is all about living a gospel centred life. Understanding God’s Story – Learn how to understand passages of scripture in the light of the whole Bible story. This course teaches Christians how to get to the meaning of the text for its first readers and for us today. God has spoken to his people through the story of his Son, Jesus. As Christians, we find our identity and purpose as we engage with the stories, letters, poems, prophecies, histories etc., contained within the Bible’s bigger story. This course is deeply practical. You will need your Bible with you to work through multiple exercises on Bible texts. You will learn to understand texts in the context of the bigger story and the immediate context of the book of the Bible they appear in. Then you will learn how to apply the words of the Bible today. 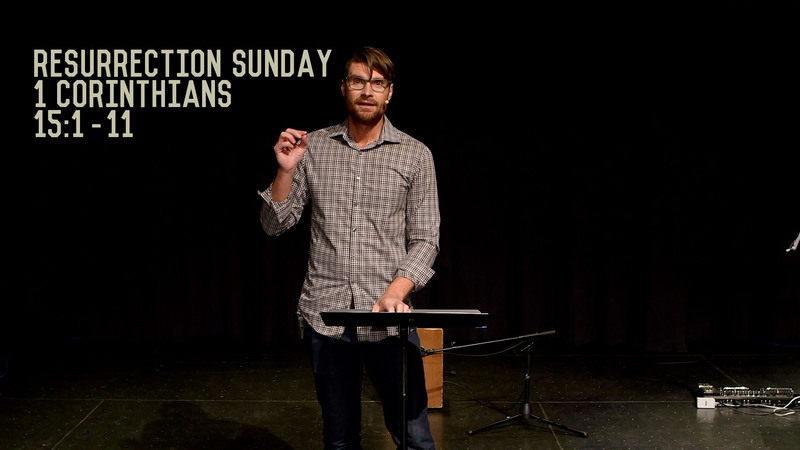 Keeping it Missional – How do you stop the day-to-day running of church life becoming a distraction from mission? This course answers by helping us see how everything from business meetings to marriage preparation can and should help us on the task of saving the lost. Everything in church life can and ought to be geared to the mission of saving the lost. However, so much of church life can seem like a distraction from the task. This course helps us to recalibrate all the necessary tasks of church life around mission. It is for all church members not just leaders. It will help all Christians understand and play their part. Apologetics – Learn how to understand objections to the Christian faith and how to answer with the gospel in the context of relationships and everyday life.The Bible calls us to give a defence for the hope we have in Jesus. It’s the Christian life that prompts the question, and relationship is the best context to display and explain the hope we have. This course helps us to understand where objections to the Christian faith come from and how to answer them with a relational approach to apologetics. 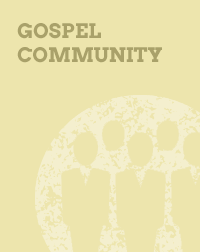 Gospel Community – In this course you will learn the key characteristics of life in a gospel community, and how to play your part in forming gospel community where you are.This class is for those leading and considering leading Gospel Community Groups. It would also be beneficial for those wanting to be more fully participating and understanding the mission of Jesus for His church. 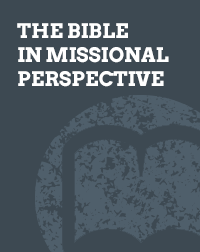 The Bible In Missional Perspective – The course teaches you how to read the bible as the story of God’s mission to redeem a people for himself in and through Jesus. It will encourage you to understand both your place and your role in the story among God’s people in the world for the glory of God. Evangelism – Learn how to share the gospel in everyday life with friends and neighbours. It teaches the importance of a church community in evangelism and making the gospel message relevant in everyday life. If our heads and our hearts are full of Jesus, then our conversations about him will flow out naturally. 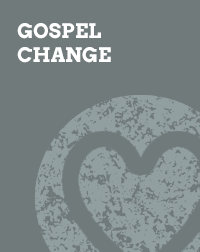 Gospel Change – This course teaches you the dynamics of gospel change. It encourages you to apply the gospel deeply to your own life and to minister the gospel to those around you.